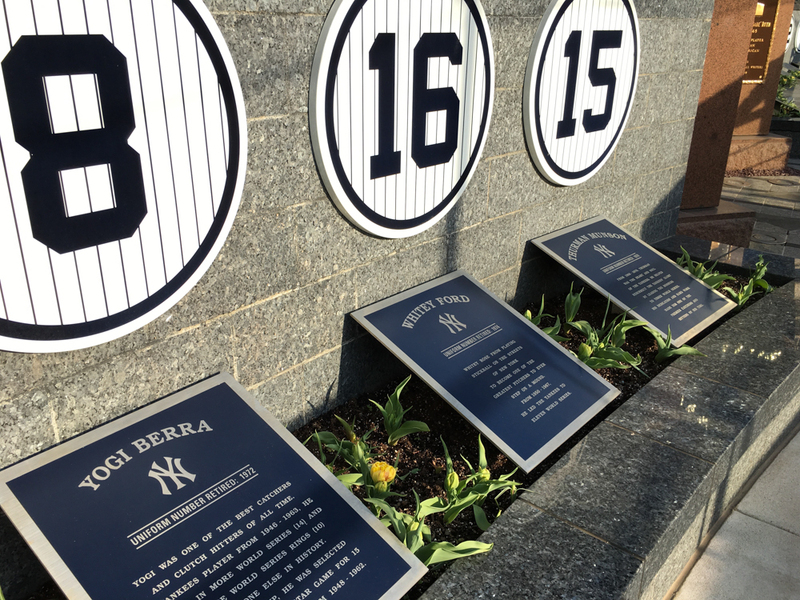 Last week was opening week at Yankee Stadium. I’m definitely not a die hard sports fan, but I do love going to games. For me a lot of the fun is just being a part of something bigger, you’re part of this special family that is all cheering together. People stop you in the street when they see you decked out in your Yankees gear and ask, are you headed to the game? ME TOO! 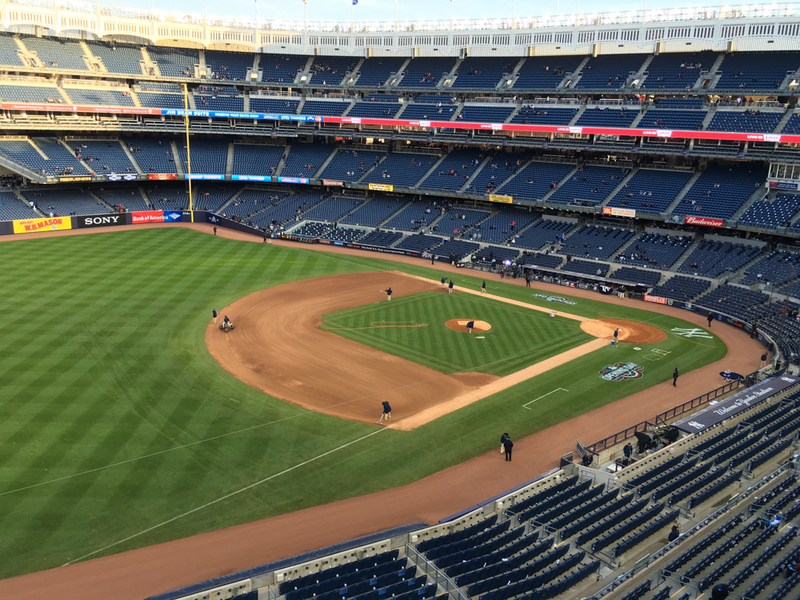 The atmosphere at Yankee Stadium is really indescribable. Everyone is so excited to be there. Wednesday April 6, 2016 was the day we had tickets. When I bought the tickets a month ago I had no idea we would be in a deep freeze and the temperature that night would be hovering at 30 degrees! BRRRR! 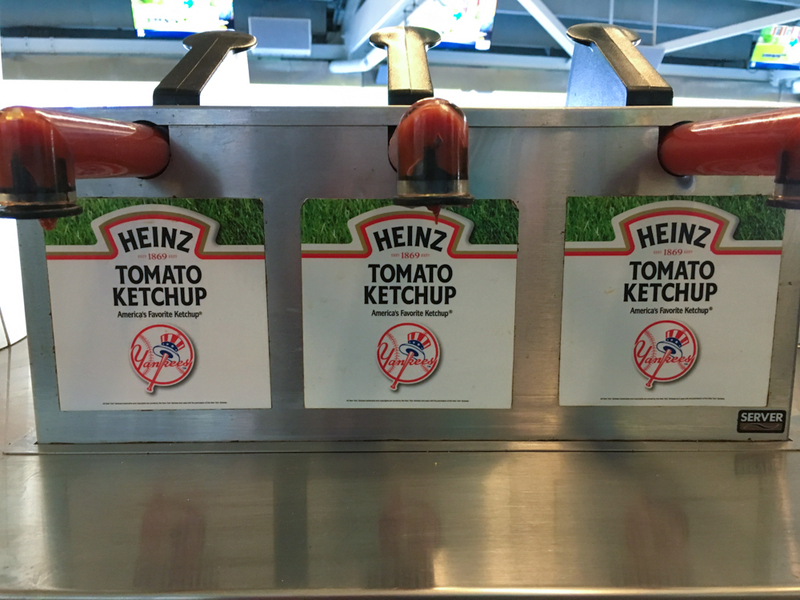 Either way, my Grandparents were visiting from Canada and they had never been to Yankee Stadium. 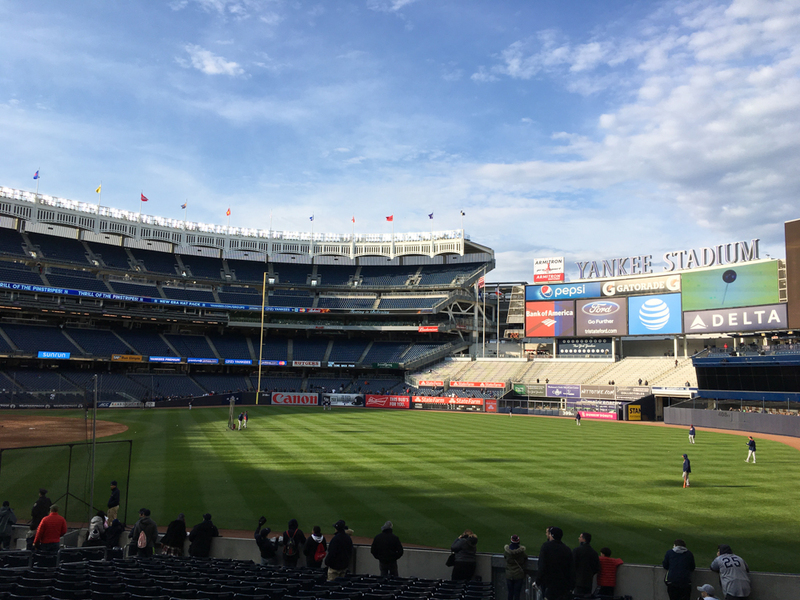 So we made sure to get there early and toured them around the Stadium, including monument park, we took them down to the field level seats where they could see the teams practicing. They really enjoyed it. When we headed up to our seats in section 329, the wind was blowing and it was chilly! People were wrapped in blankets and huddling together to keep warm. We arrived at the Stadium at around 5pm. The game started at 7:05pm. By the time 8pm rolled around we were ready to go! It was just too cold to enjoy the game. 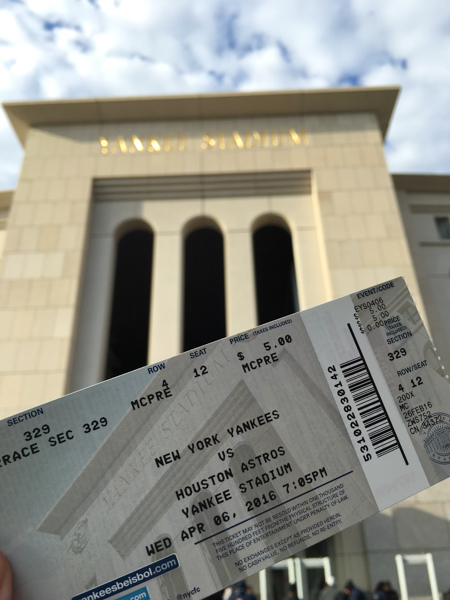 The Yankees won that night against the Houston Astro’s. The score was 16-6! We’ve already got tickets to games later in the season, so perhaps the next game we are at I won’t need gloves! 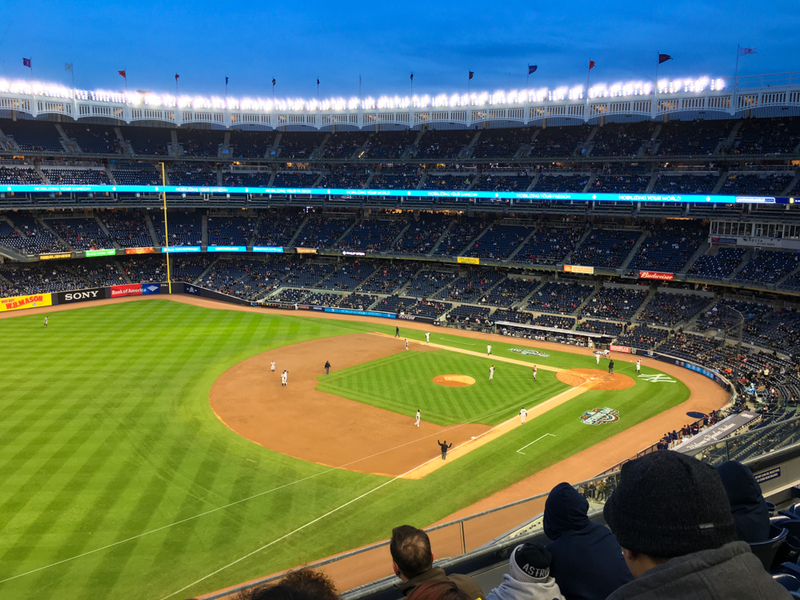 Even if you aren’t a big sports fan, I definitely recommend you take a trip to Yankee Stadium. I think you’ll like it! 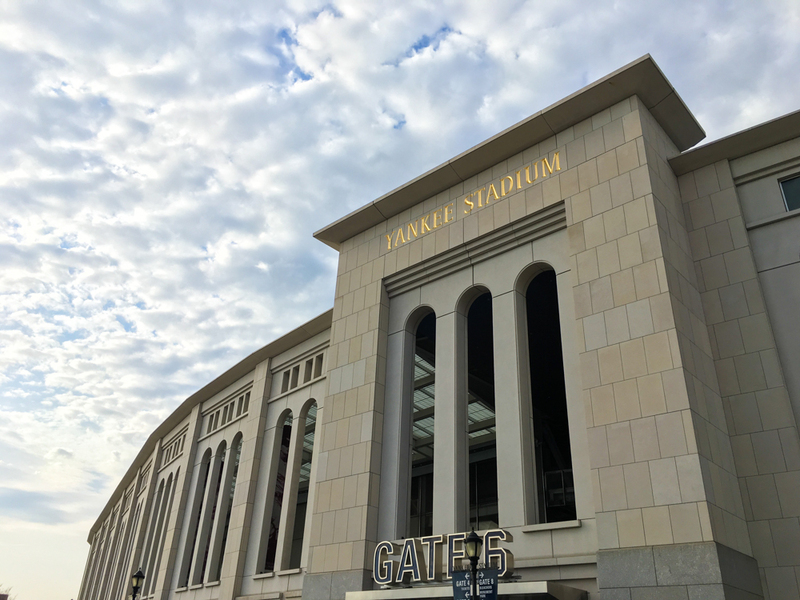 Yankee Stadium, in The Bronx. 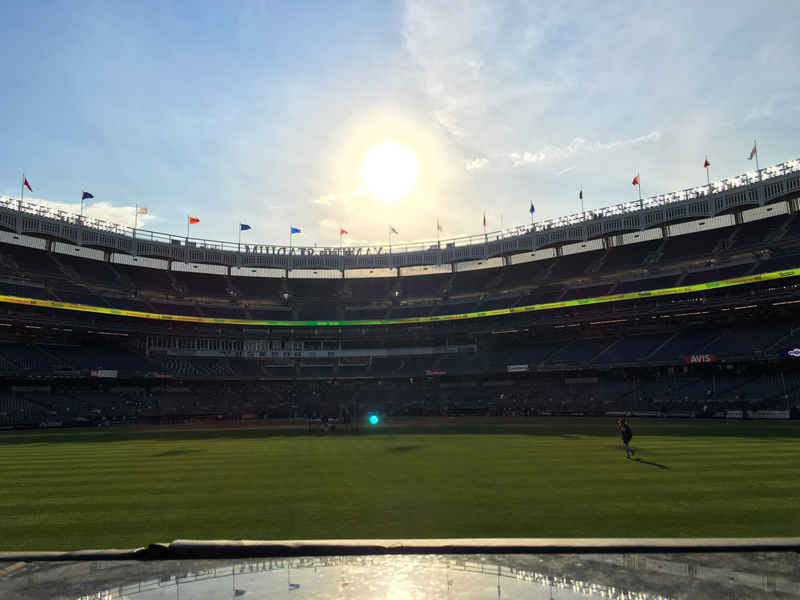 I scored $5 tickets to see the Yankees! 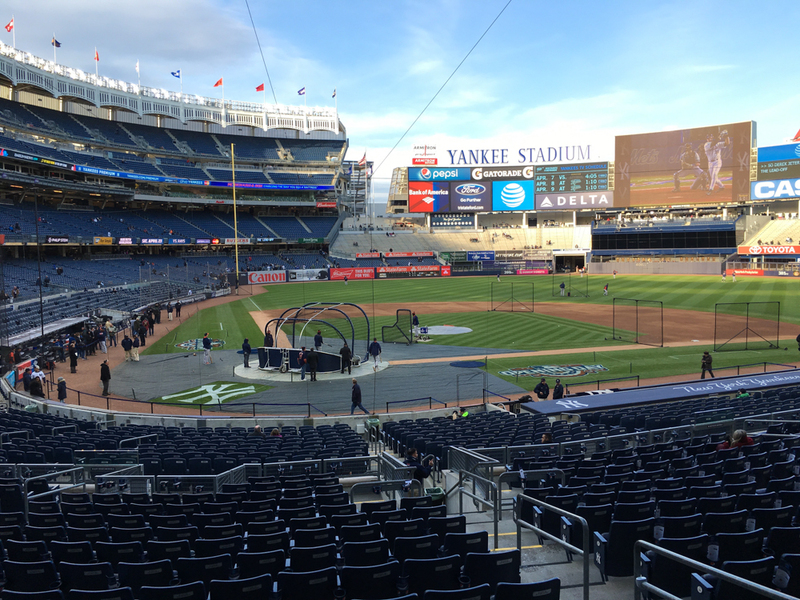 Home of the New York Yankees. 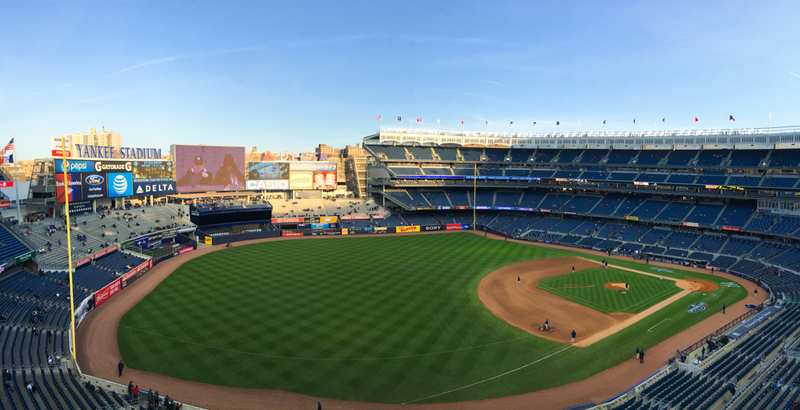 The view of the field from Monument Park. 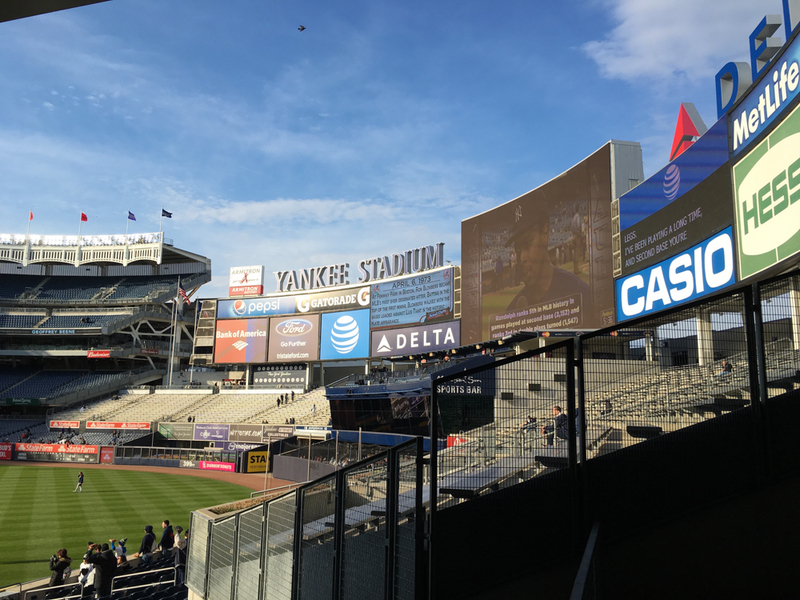 Panoramic photo (from my Iphone) at Yankee Stadium. 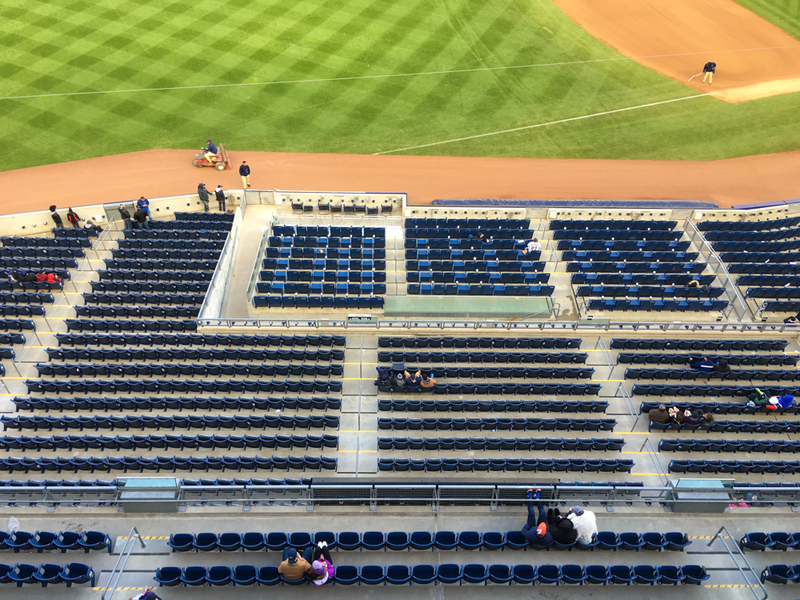 Looking down below our seats at Yankee Stadium. All bundled up to watch the game. 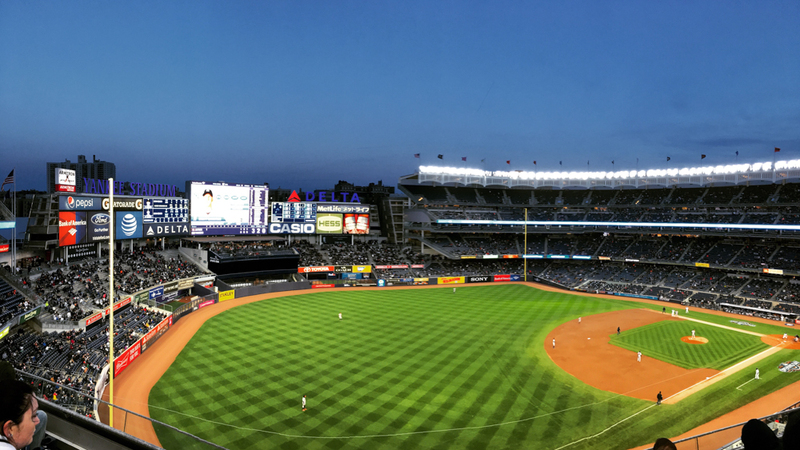 Panoramic view from section 329 at Yankee Stadium.